1) Prepare the simple syrup. 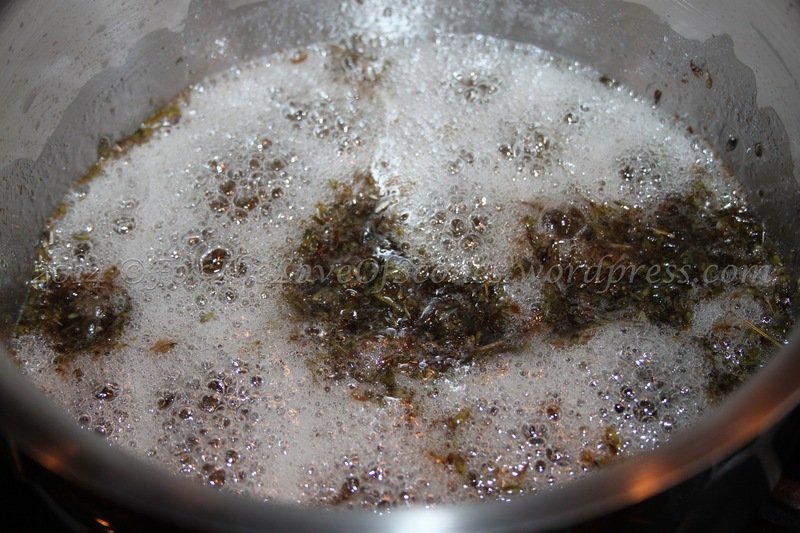 Combine the water and lavender flowers in a medium saucepan and bring to a boil over high heat. 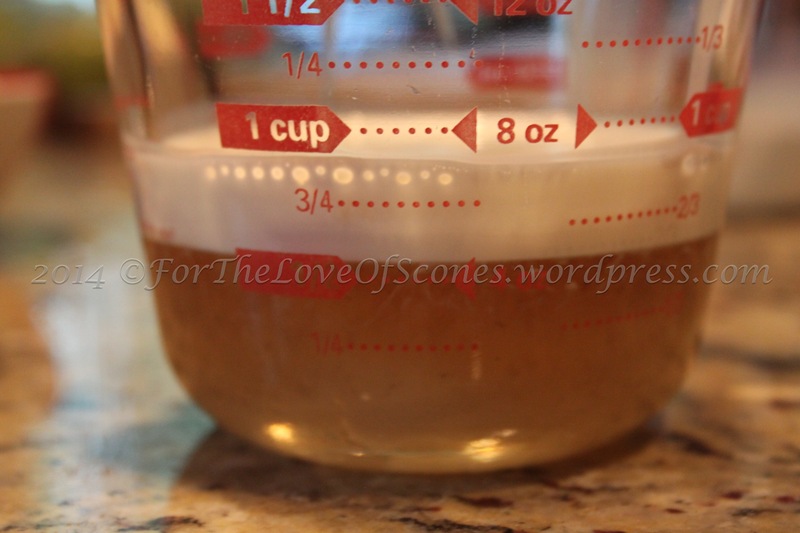 Once the water is boiling, slowly add in the 2 cups sugar and stir until dissolved. When the sugar is dissolved, turn the heat down to low and simmer for 5 minutes. Remove from heat and allow to cool. 2) Make the scones. Preheat the oven to 400ºF. 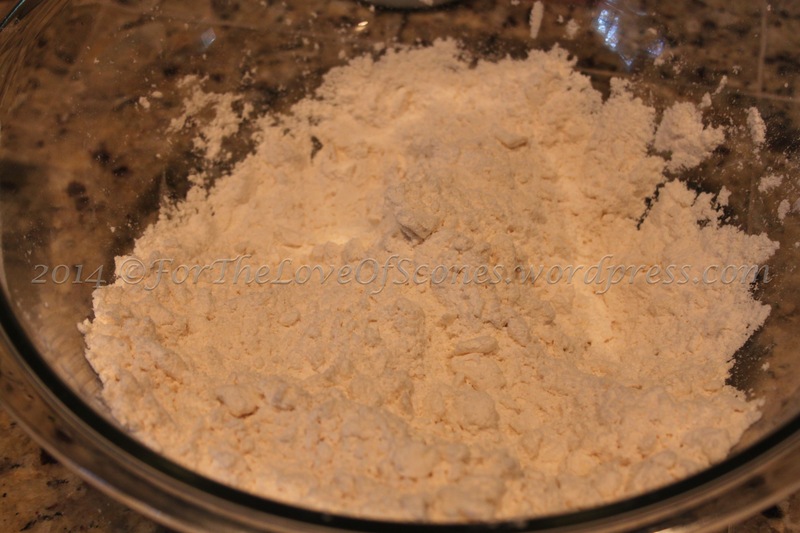 Combine the dry ingredients: flour, baking powder, and salt and whisk to mix. 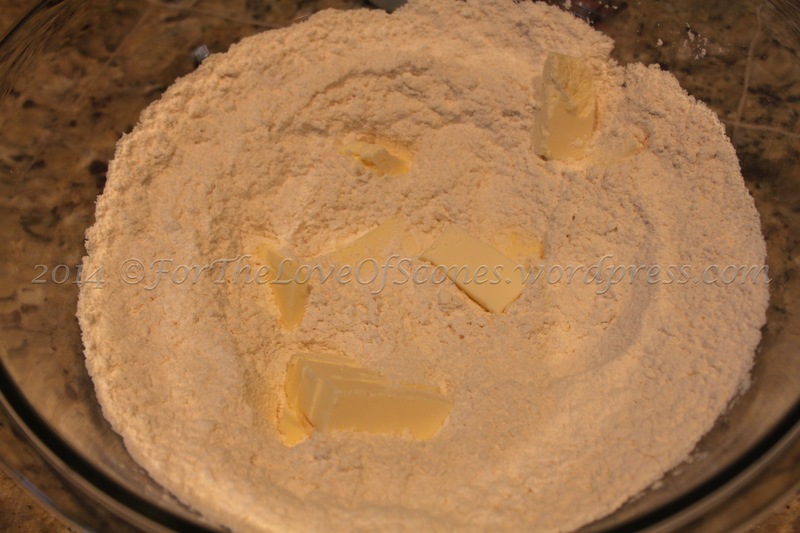 3) Add the diced, cold butter to the dry ingredients and work into the flour mixture with a pastry blender. Some pea-sized chunks are okay. 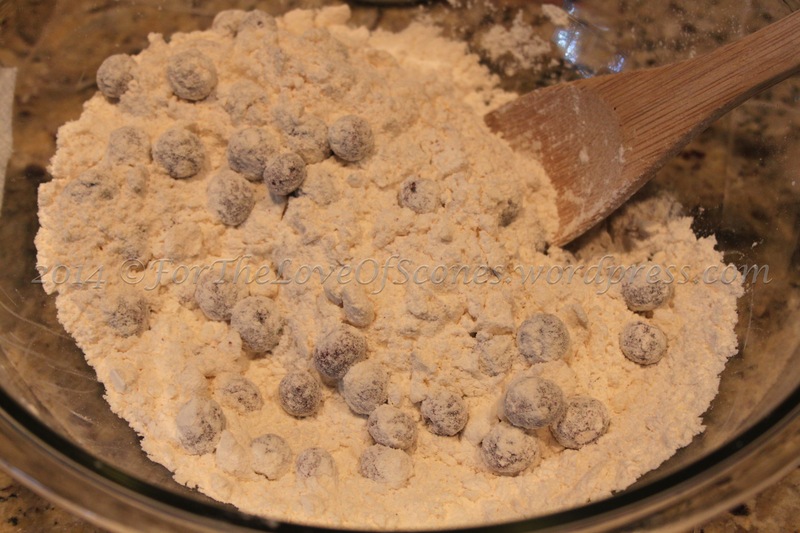 4) Add the frozen blueberries to the dry, buttery mixture and toss with a wooden spoon to mix. 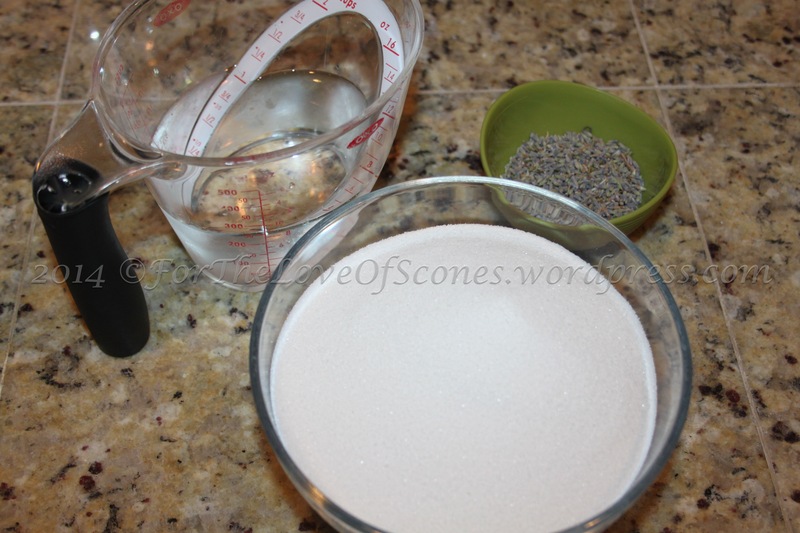 5) In a 2-cup measuring cup or small bowl, combine 1/4 cup honey, 1/4 cup lavender simple syrup, and 1/4 cup half & half. Whisk lightly to mix. 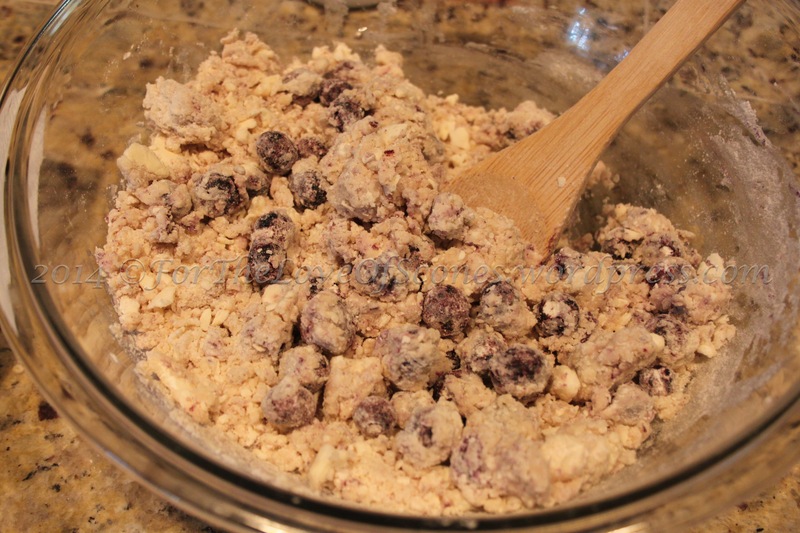 6) Add the honey, syrup, and half & half mixture to the dry blueberry mixture and stir with a wooden spoon. 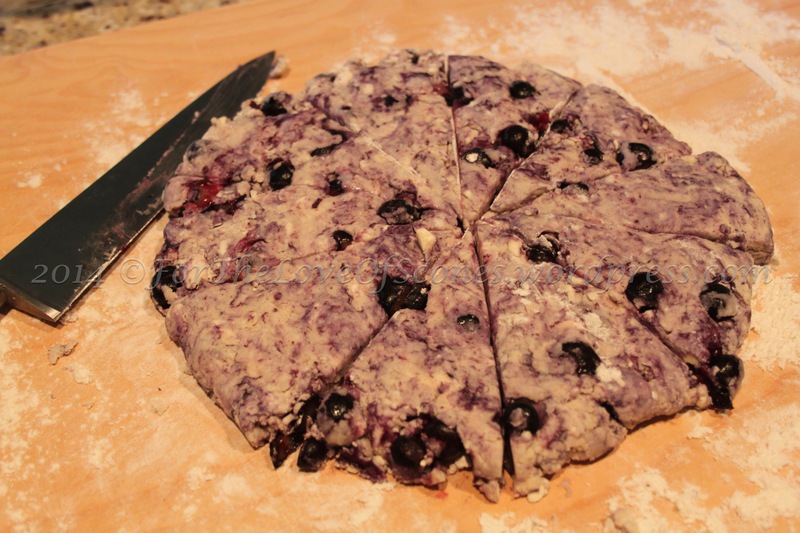 8) Turn out dough onto a lightly floured countertop and flatten into an 8-inch round. Cut into 8 or 10 rectangles. 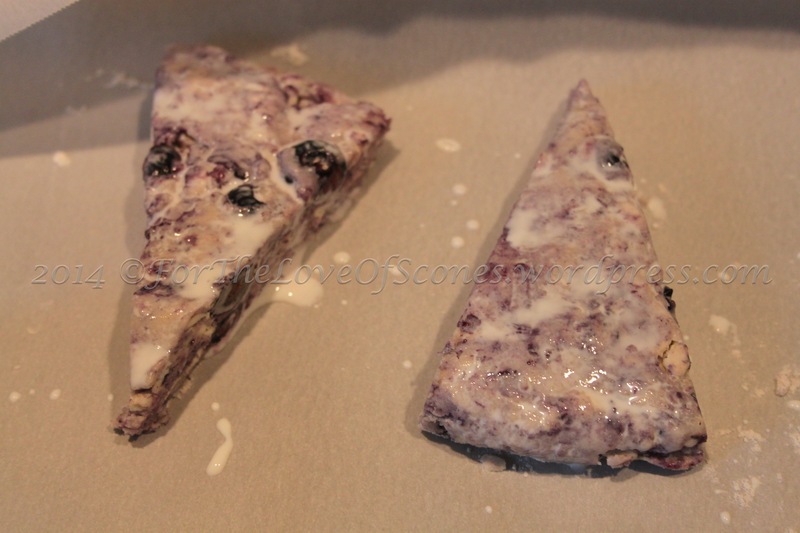 9) Transfer scones to a parchment-lined baking sheet and spread about 2 inches apart. Brush with any remaining half & half and sprinkle with Swedish Pearl sugar. 10) Bake at 400ºF for 12-15 minutes or until golden on top. 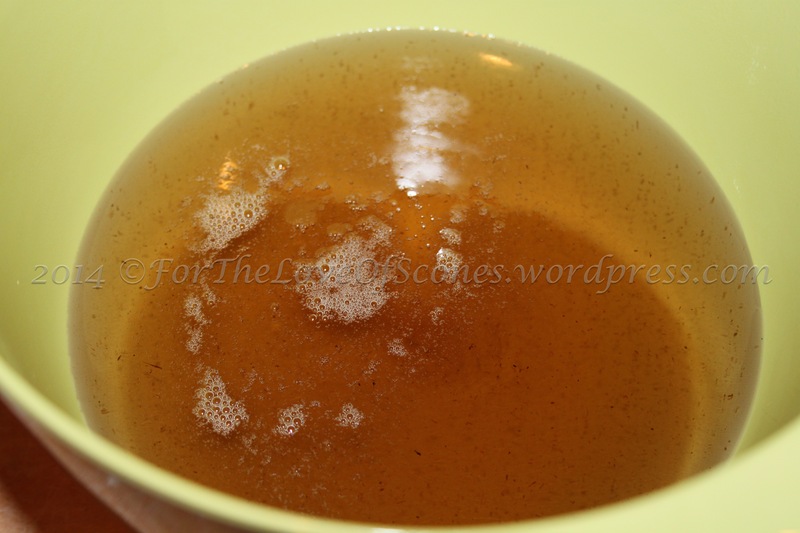 The simple syrup is very simple to make. I guess they call it a simple syrup for a reason! 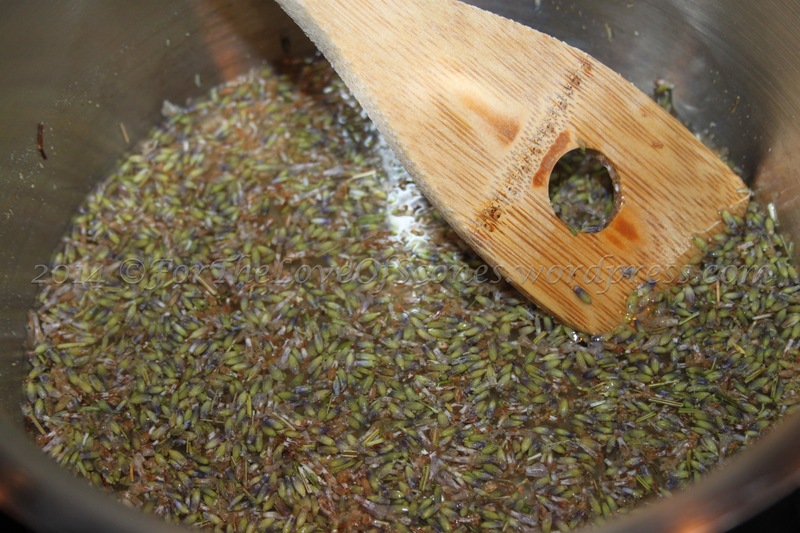 Simple syrup begins: allow the water and lavender flowers to simmer for several minutes before adding the sugar. Add the sugar and allow to dissolve. Let simmer (it’ll froth, and that’s okay). 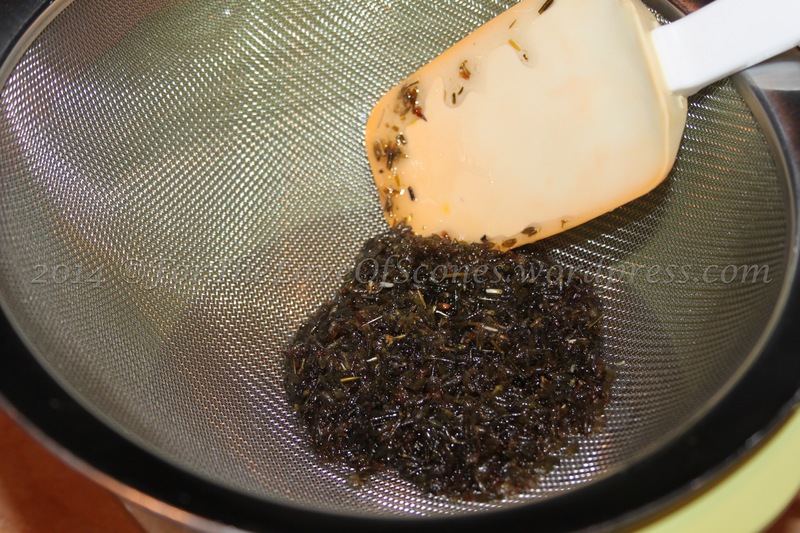 Using a fine, metal mesh strainer collects most of the lavender flowers. 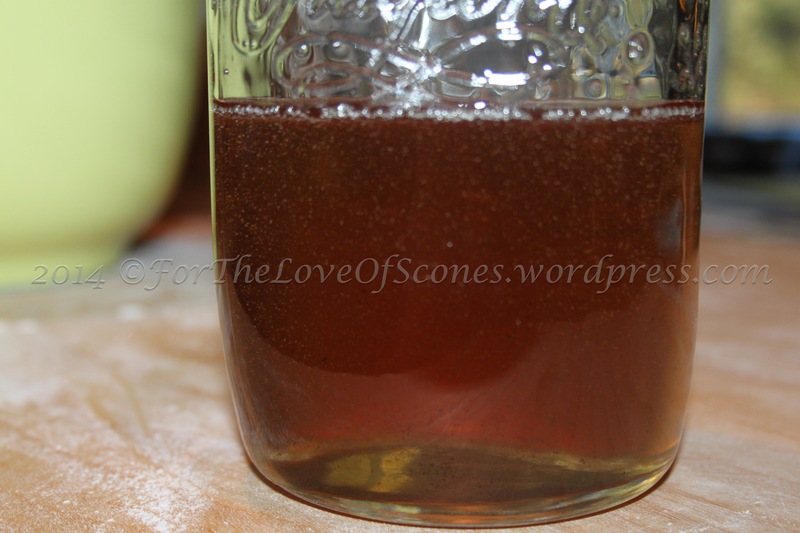 Simple syrup after being strained through a fine, metal strainer. I didn’t use any cheesecloth, and so ended up with a few very small pieces of lavender in my syrup (which I found to be fine with me). If you don’t want this, you could try using a cheesecloth-lined metal strainer. This simple syrup recipe gave me enough syrup for at least four of these scone recipes. Measure out all your ingredients so you’re ready. 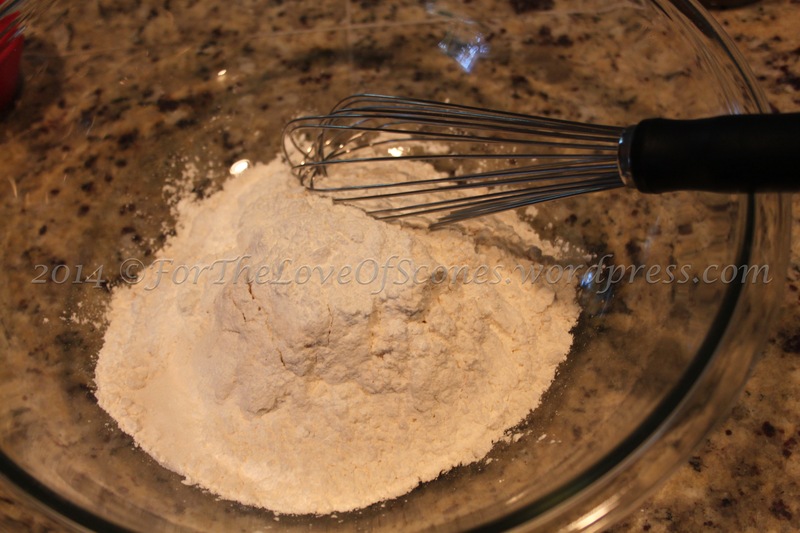 Combine the dry ingredients and whisk well to mix. Combine the lavender simple syrup, the honey, and the half & half. Whisk and set aside. 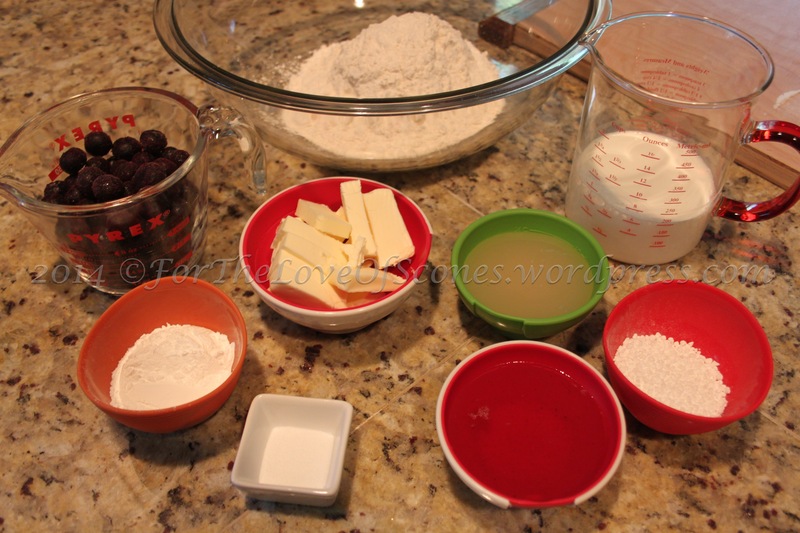 Add the butter and mix well with a pastry blender or your fingertips. Some pea-sized chunks of butter are okay. 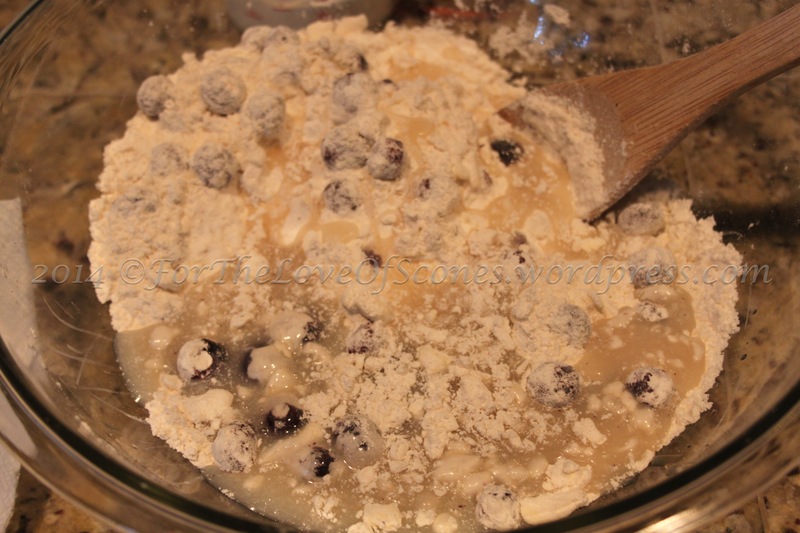 Add the frozen (or fresh) blueberries and toss to coat with a wooden spoon. 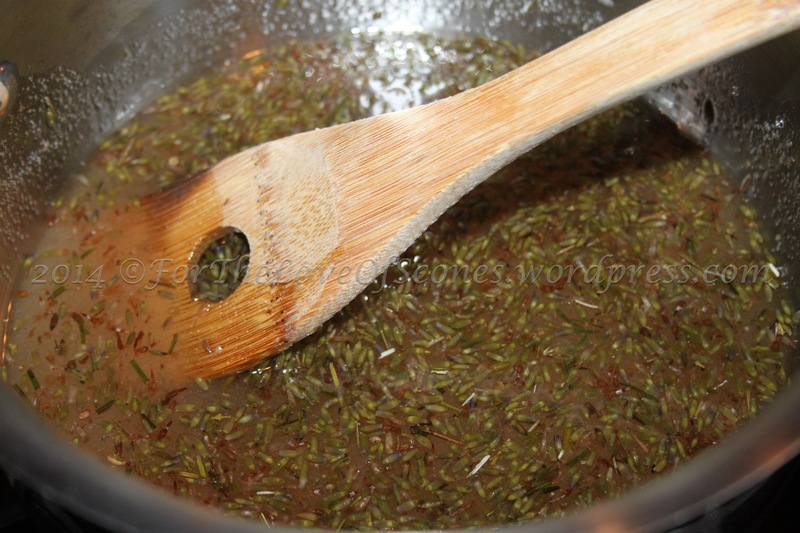 Add the honey, syrup, half & half mixture to the dry ingredients and stir with a wooden spoon. 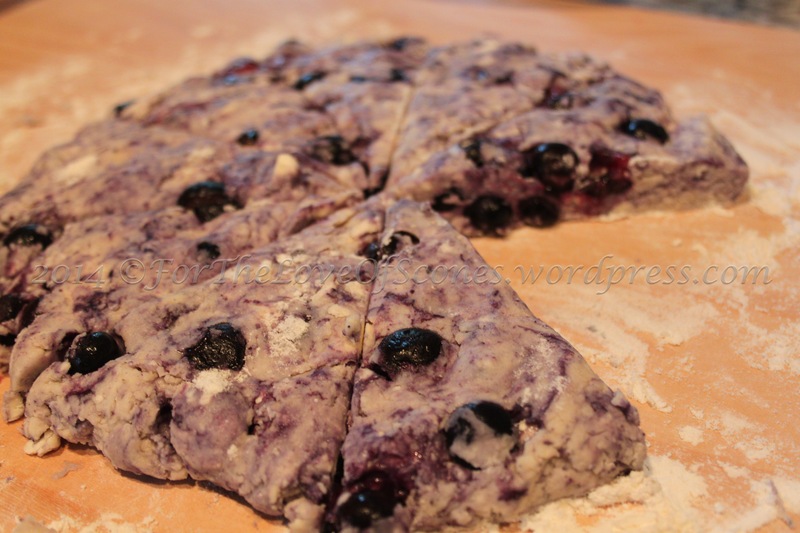 This should bring you almost to scone dough consistency. Add more half & half as needed and stir with a wooden spoon to mix. Place onto a parchment-lined baking sheet a couple of inches apart and brush with leftover half & half. Sprinkle with coarse sugar or Swedish Pearl sugar (shown here). Bake until golden on the edges. Have you seen anything more delicious? But comments and trickery aside, I was pleased with these scones. 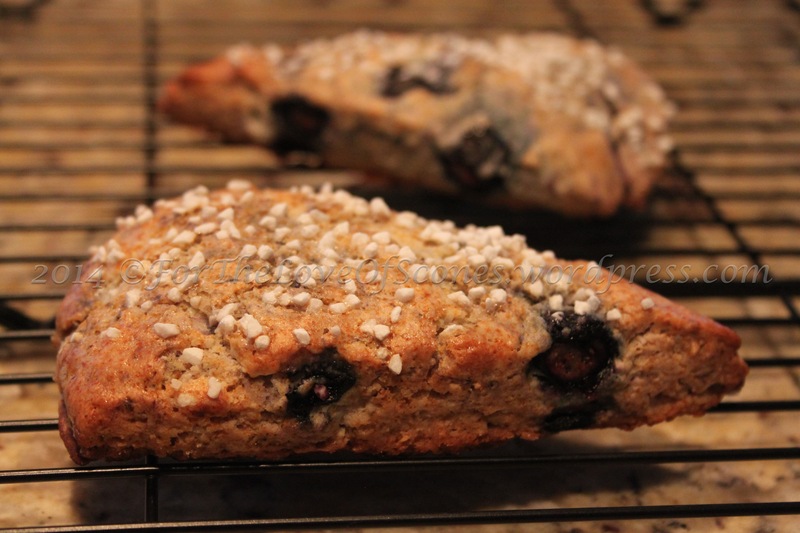 They are light and airy, and the slight floral note gives a different dimension to the blueberry scone. 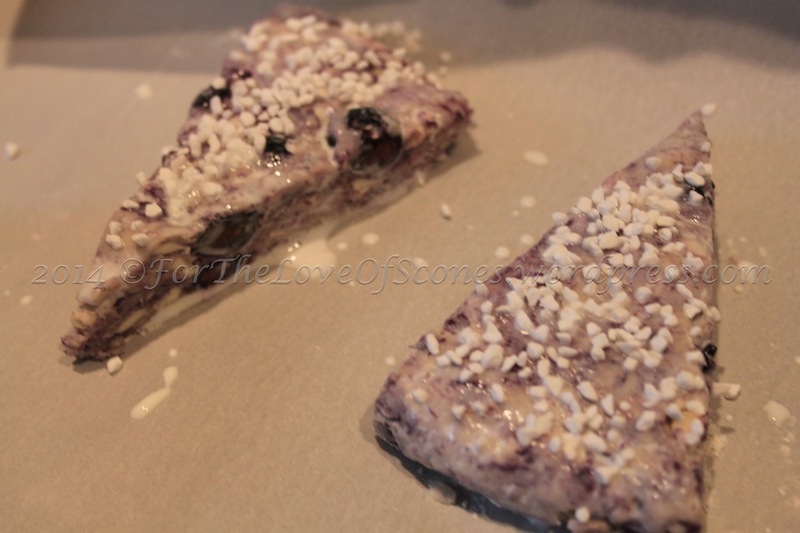 Definitely a great scone when you don’t want a heavy cream scone, but something fruity and refreshing.